If you enter one of our competitions, we will assume that you have read these terms and conditions and that you agree to them. 1. Unless otherwise stated, competitions are open to alumni of the Newman University. 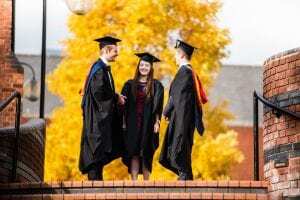 An alumnus/alumna is defined for this purpose only as a former Newman University registered student who has completed a programme of study, or a former Newman University staff member. 3. No responsibility can be accepted for entries that are lost or delayed, or which are not received for any reason. Incorrectly completed, late or illegible entries will not be accepted. 4. Winners will be drawn at random from all correct entries received by the closing date. 5. The closing date is as specified in each competition. 6. If you win a competition, we will notify you by email. The Alumni Officer’s decision is final and no correspondence will be entered into. 7. The winner may be required to participate in promotional activity and material. By entering the competition you agree to have your name released as the winner if required. 8. Prizes are not transferable to another person. 10. If an advertised prize is not available, we reserve the right to offer an alternative prize of equal or greater value. 12. The University reserves the right to amend these rules at any time. We may also create rules which will apply to a specific competition only. If we do this we will publish the amended competition rules and/or specific competition rules on the relevant competition page. 13. We will endeavour to send prizes within one month of the competition closing date but cannot guarantee this delivery time. 14. The closing date for the “Win a graduate wardrobe competition” is 23rd November 2018 and is only open to graduates from the class of 2018 graduating from the Symphony Hall on Tuesday 23rd October 2018. “Update your details and contact preferences” (phase 1, closing date 31/12/17) – Zeina Russell. “Big Alumni Reunion Guest’s Survey” (closing date 21/08/18) – Oliver Bennett.